Flight is a characteristic of all—well, all local—birds. 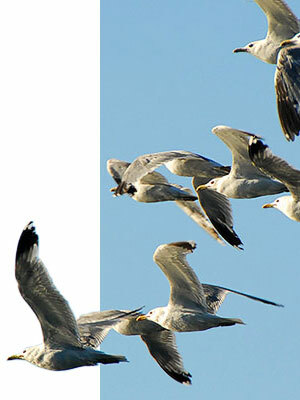 One might think, therefore, that a fascination with flight would permeate the birding community. It doesn’t. Such insouciance to bird flight makes it a challenge to assemble these notes: guide books treat species identification and consider flight only as an interpretive aid; books on bird behavior neglect the topic; the few helpful sources are quite technical and sometimes contradictory. Complementing this rather frugal guidance, the actual flight manoeuvres of birds in the field are often too subtle or too rapid to descry. Nevertheless, there are some useful observables to offer and comments to make.